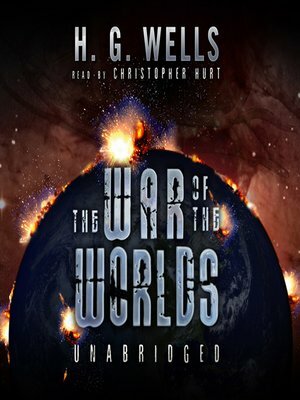 "No one would have believed in the last years of the nineteenth century that this world was being watched keenly and closely by intelligences greater than man's and yet as mortal as his own..." So begins The War of the Worlds, the science fiction classic that first proposed the possibility that intelligent life exists on other planets. This spellbinding tale describes the Martian invasion of Earth. Following the landing in England of ten huge and indefatigable creatures, complete chaos erupts. Using their fiery heat rays and monstrous strength, the heartless aliens threaten the future existence of all life on Earth. This classic chiller, when adapted for radio in 1938 by Orson Welles, was realistic enough to cause widespread panic throughout the United States.